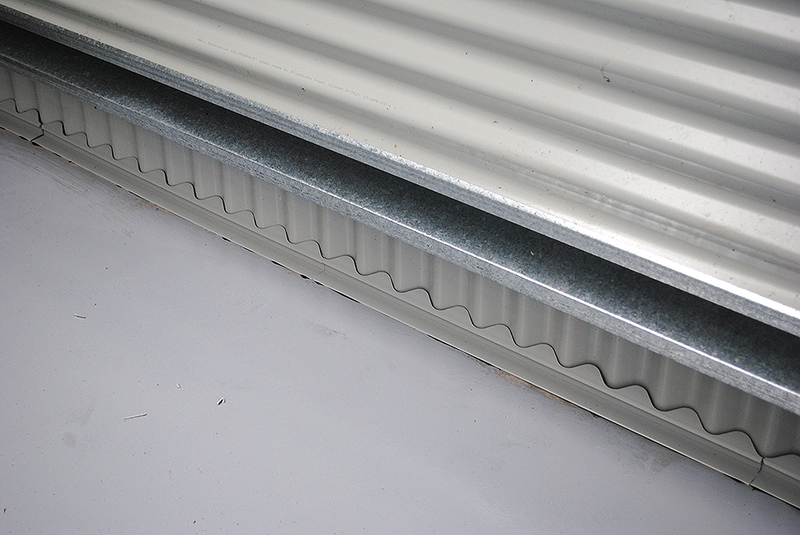 Seeing as the exterior sheets are a corrugated profile, and the edge of the concrete slab is square, there is a gap that exists between the two. 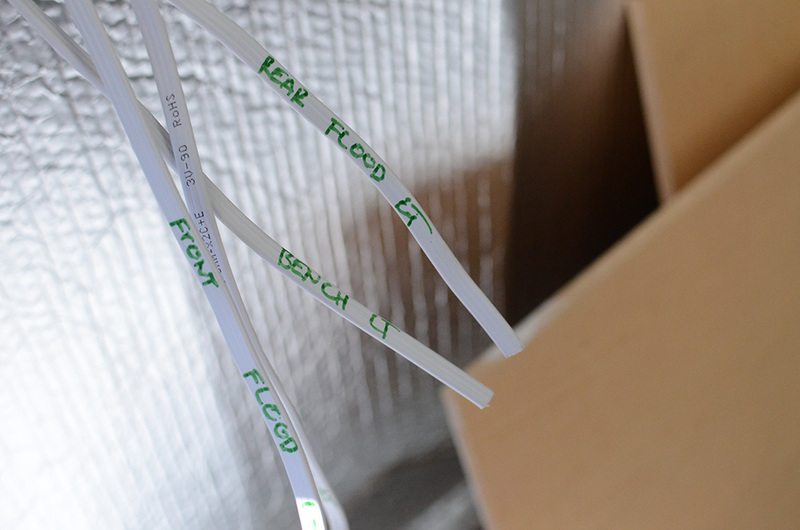 I pondered a few options to close this up before I was pointed in the direction of RetroSeal Domestic, which proved to be the perfect solution. 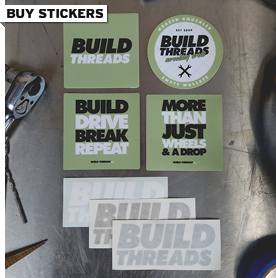 Way better than expanding foam! Then it came time to figure out the storm-water routing, and what a time it was. 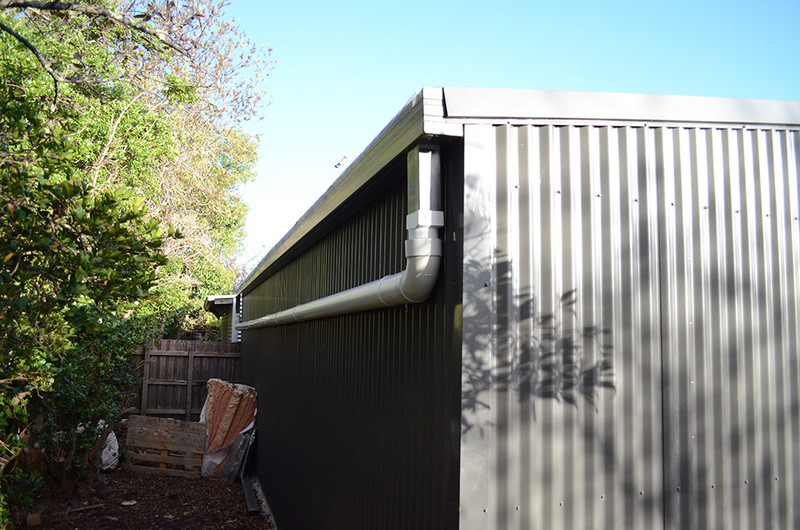 You see, to have the building permit signed off, the guttering has to be plumbed into the same storm-water system that the house uses. 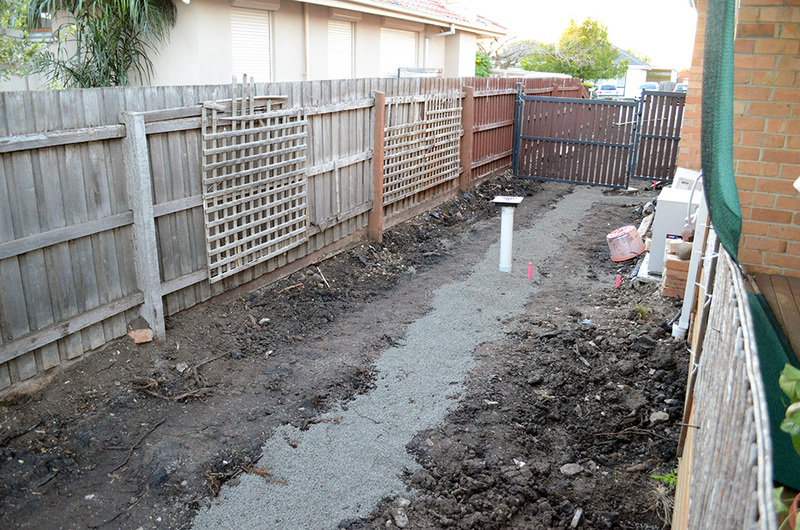 In my case, after consulting with a plumber and getting some documents from my local council, it was confirmed that my storm-water system travelled rearwards and concluded at an easement that ran along the back of my block. 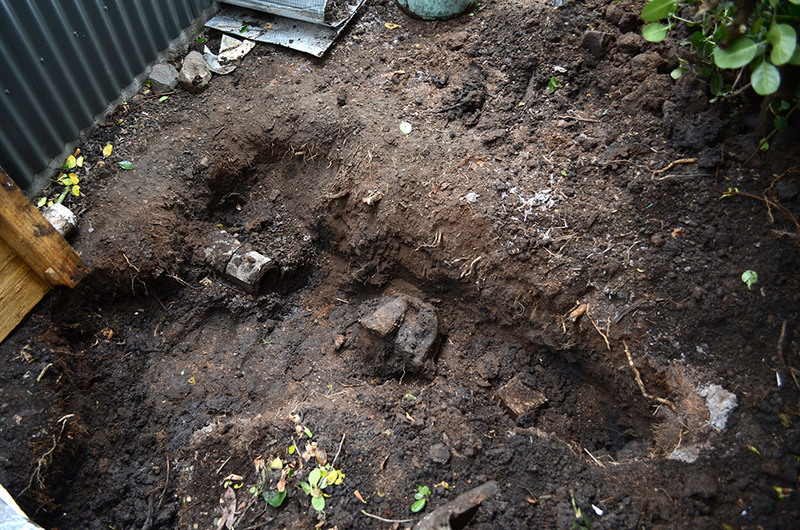 So with that in mind, and with a rough target area outlined by the plumber, I started digging. 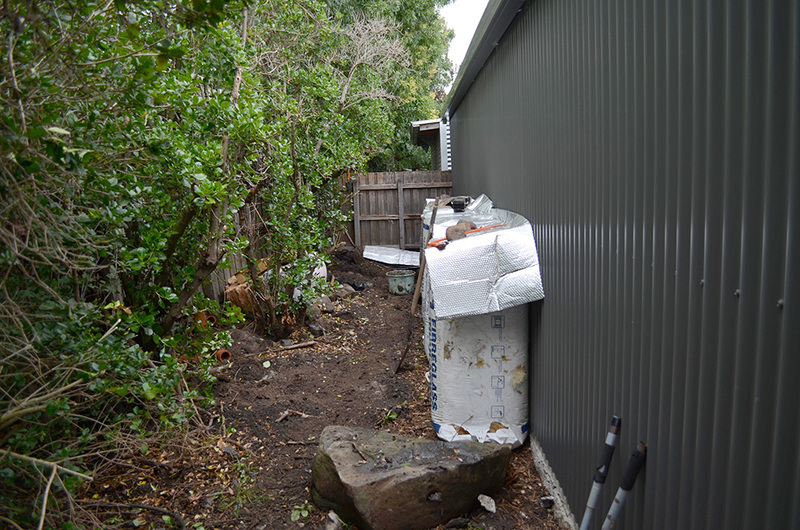 This was going to be easy, all I’d have to do is locate the easement, then tie in the two shed downpipes into it…. …or so I thought. After digging around, I ended up locating the storm-water pipe that travels from the house all the way underneath the shed, but no easement. That’s because there was no easement. 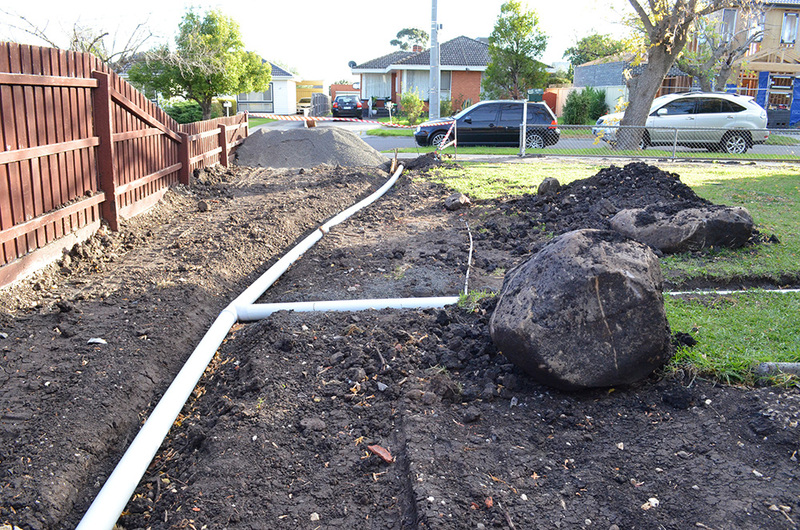 To cut a long story short, after council spent two months investigating, they found that the easement had collapsed a few houses down from mine. 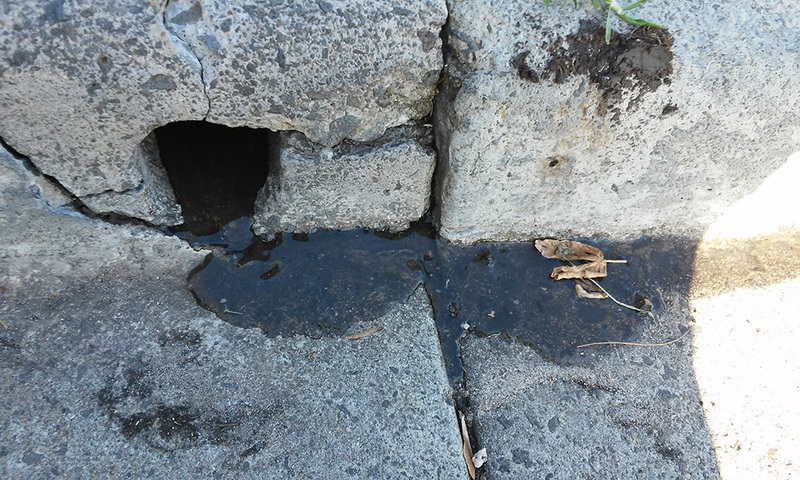 This meant that – after paying to have the blocked pipes cleaned out by a plumber before I was privy to this – every time it rained, this hole would fill up with water that was collected from my house roof and gutters. Not wanting to compromise the foundation being so close to my shed, I would venture out into the rain with buckets to empty it out, not my idea of fun! In the end, the council’s solution was to simply tell me to re-route all of my piping to the curb, at my cost of course. Easy for them to say, harder for me to execute. After coming to terms with this, I figured, hey, if I’m going to be ripping up the block to fix all of this piping, I may as well kill two birds with one (very expensive) stone and do the new driveway that I always wanted. The driveway was always in my plans, just not this early. 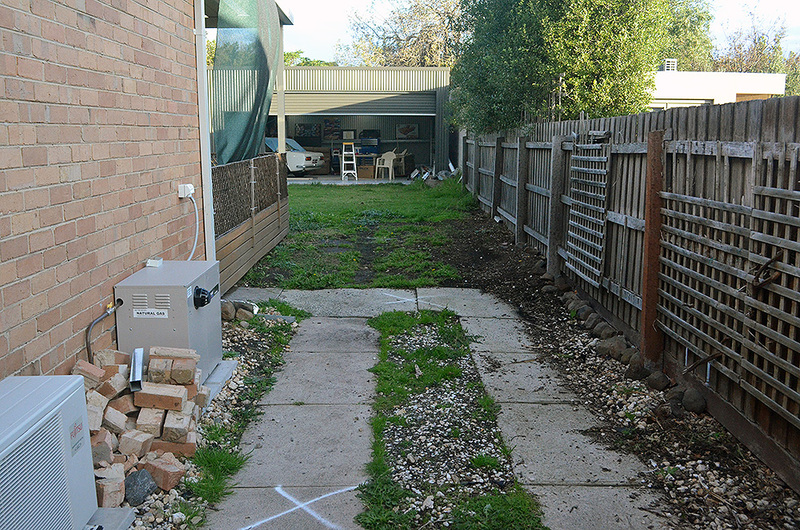 The existing driveway would terminate beside the house, which meant driving over grass to get to the new garage (and some ramps to get my car into it ). I also had a pretty decent step from the footpath to the beginning of the driveway, and it was quite narrow, too, with most car tyres hanging over the edge onto the lawn. 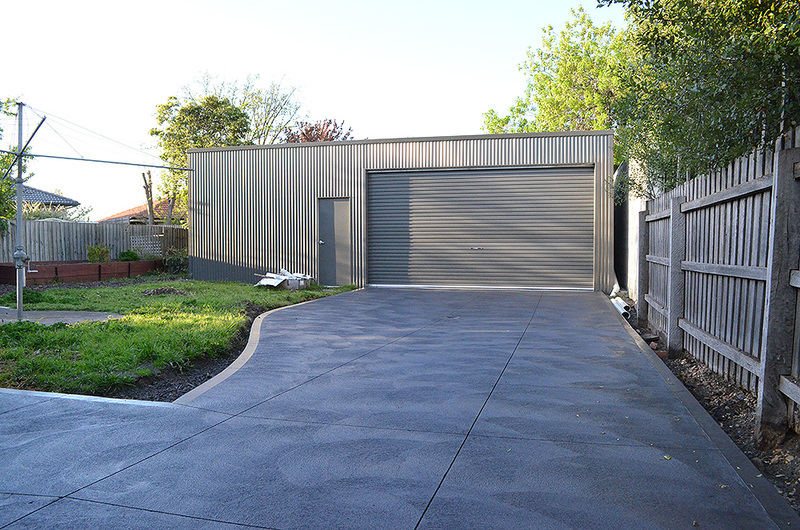 The new driveway would solve all of these issues, being nice and flat, wider at the front of the house so we can walk around the cars, and then extending to the width of the double roller door where it meets the shed. 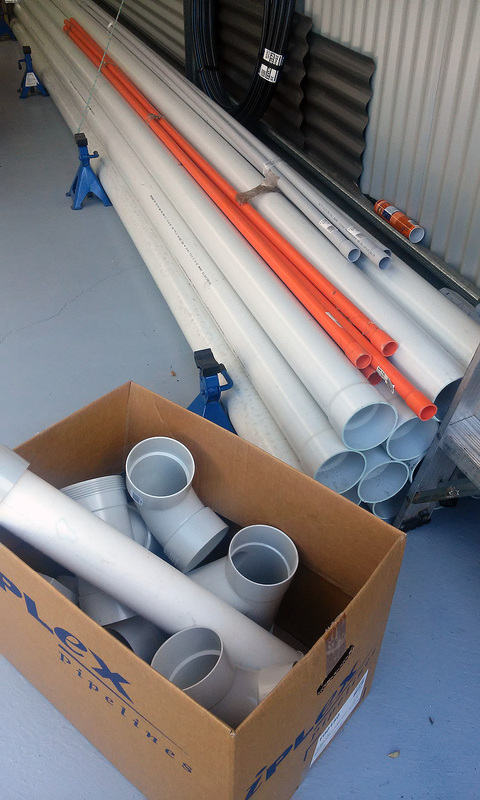 A few months later, my dad and I went on a shopping spree at the plumbing supplier and bought all of the new 100mm storm-water piping. 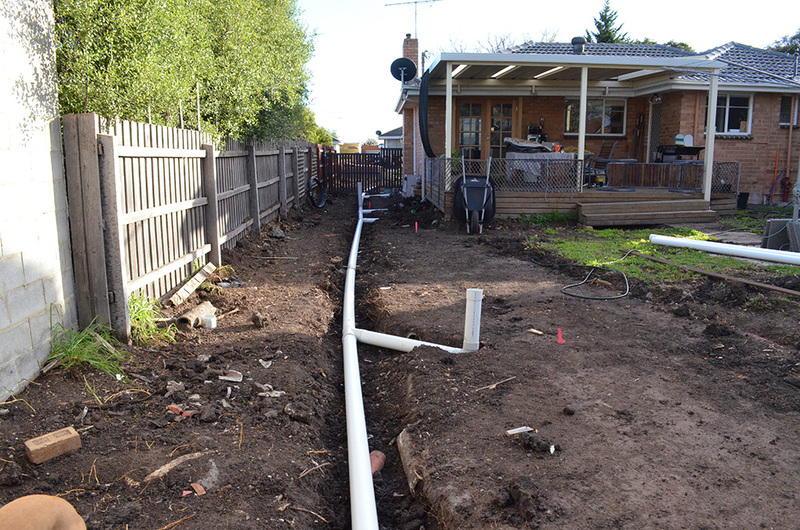 We chose 100mm over the regular 90mm because I don’t have much fall from the garage to the curb, where the water needs to go, so the bigger piping helps to move the water. X marks the spot. 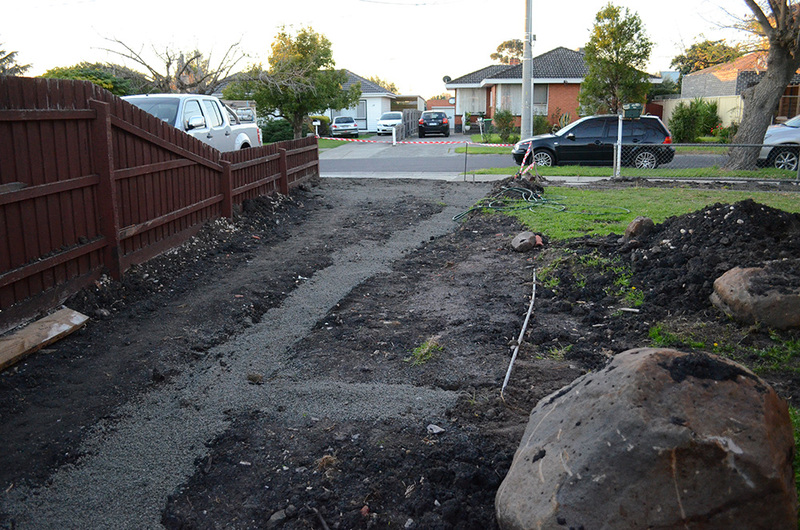 This was the day before the excavator arrived, goodbye old crappy driveway, you will not be missed. The next few days saw both my back yard and bank account obliterated, but it was a necessary evil and would set us up for the work that followed. 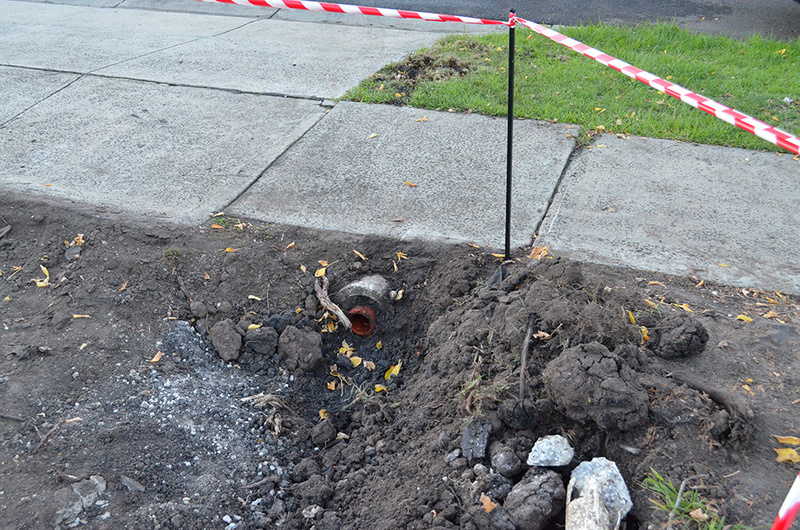 At the other end of the block, in the front yard, we found an old pipe that connected my block to the curb outlet. Going back many, many years, before the easement was built, apparently all of the houses in the street used curb and channel drains. 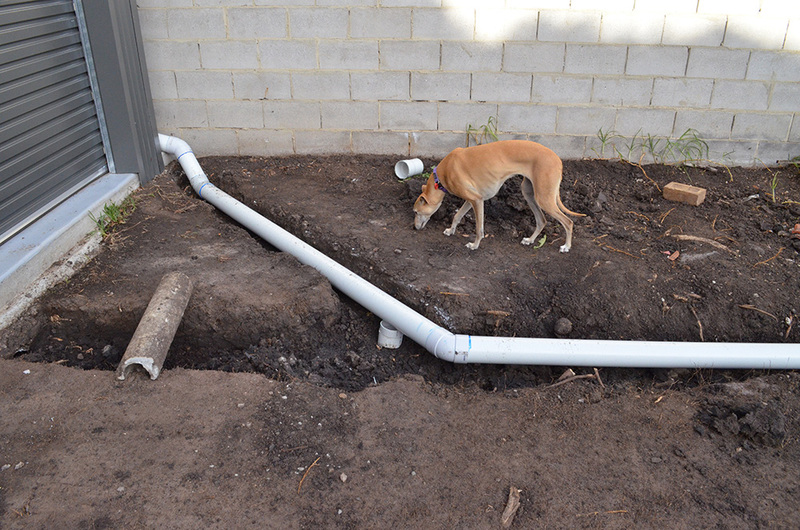 This was very handy, because it meant I didn’t need to tear up the footpath and/or nature strip to run my own, just connect my new piping to this old bit of pipe. …and then pop out next to the roller door where they are then submerged underground and begin their journey to the front of the house. 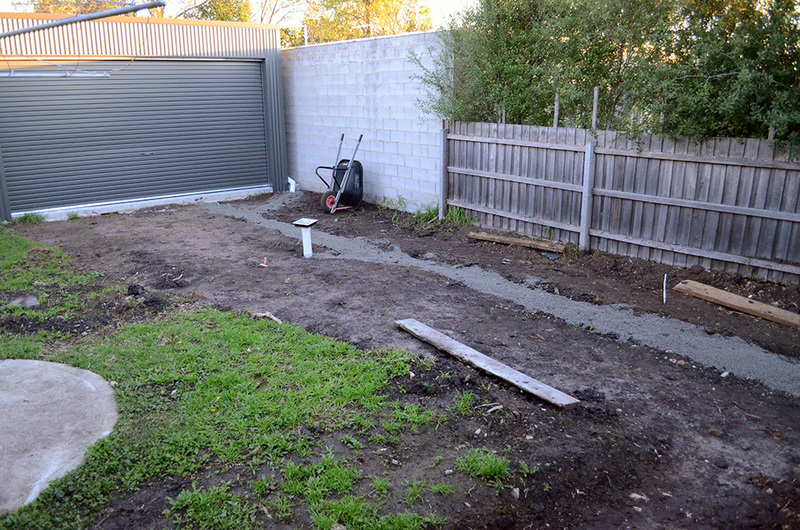 In the above photo I’m standing on the edge of the shed slab, looking forwards. You can see the first of two drain t-pieces we installed (the vertical pipe will be cut down to suit the concrete level). 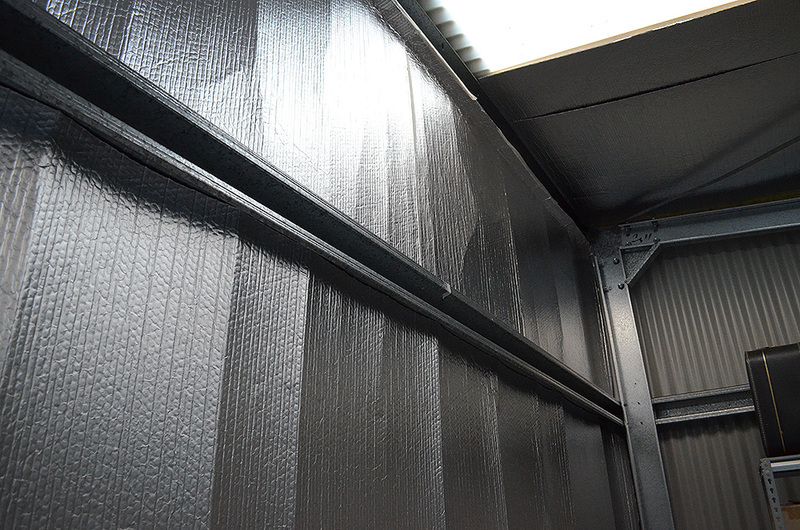 Looking further forward, you can see all the new piping for various downpipes, and one that runs under the decking. Now I’m standing in front of the gate, looking at the front yard, where the piping ends. The pipe that tees in from the right hand side is actually connected to a downpipe outside our bedroom window, which was never connected to anything, it would just run off to the ground. It’s good to know that everything will the connected properly now. After checking the levels of the pipes for what felt like the millionth time, we buried it all in screening crush-rock. So after all that, it worked! My neighbours were probably wondering why the weird dude with the messy yard was squatting down in the gutter and smiling at water coming out of the drain. Messy yard, messy block, messy garage; it was all just a big mess. 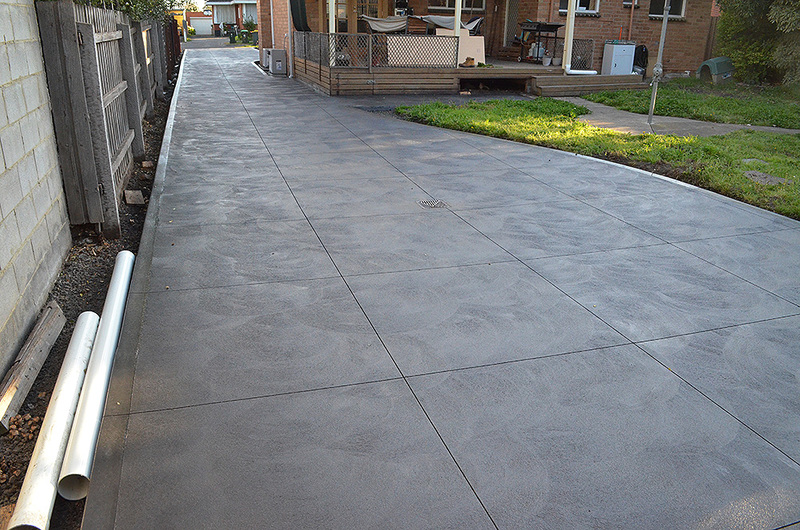 I had to wait for my concreter to finish off a few jobs before we could begin the driveway. 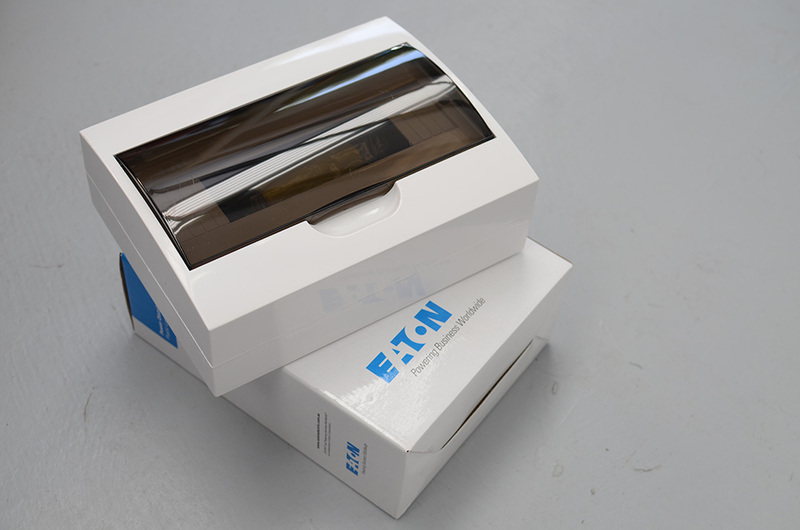 But when the day finally came, all of the waiting felt like a split second in retrospect. 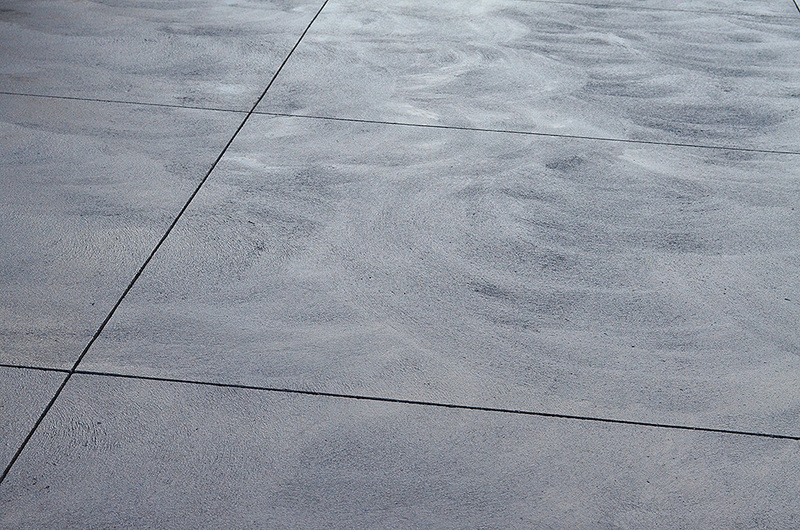 I went for grey dyed concrete with a double strength mixture. A few days after it cured, I had it saw-cut. 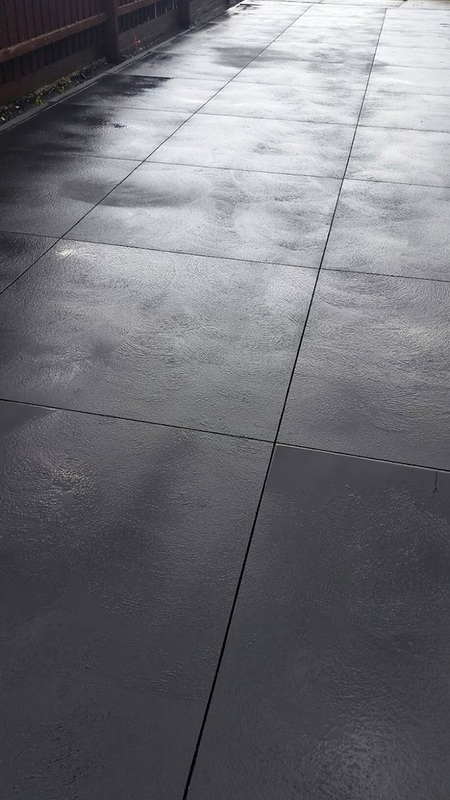 Instead of regular saw cuts I chose to go with a pattern of large squares, to give a faux paving look. I love it! 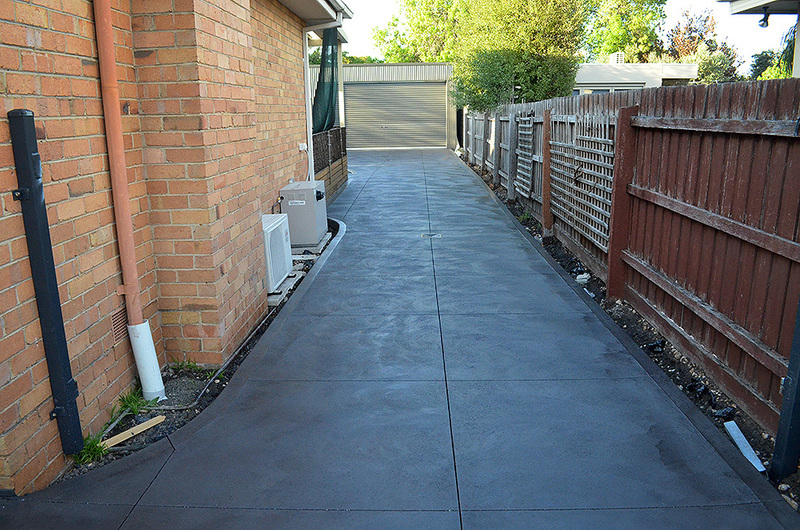 A few days later again, I had the entire driveway clear-sealed to lock in the colour and make it easier to keep clean. 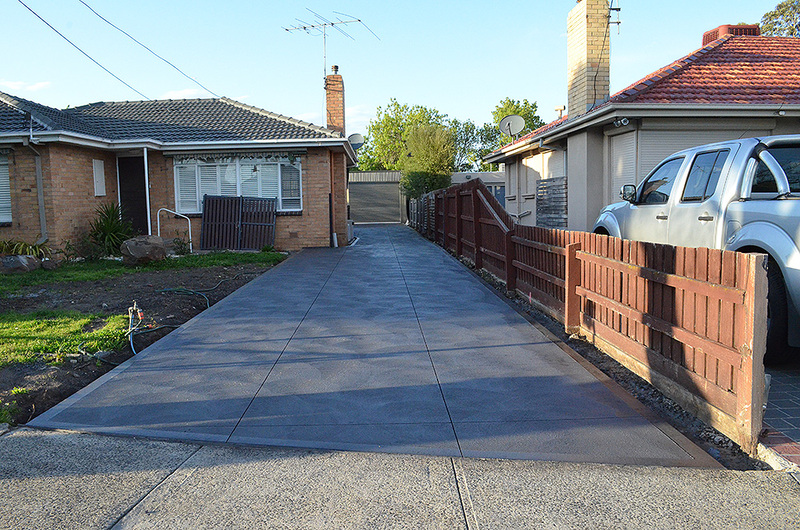 Standing on the footpath, the driveway and footpath are now the same level, instead of the big bump I had there before. Walking up beside the house (gate still removed at that time), this is where the old driveway finished, now there’s a clear path all the way to the shed. 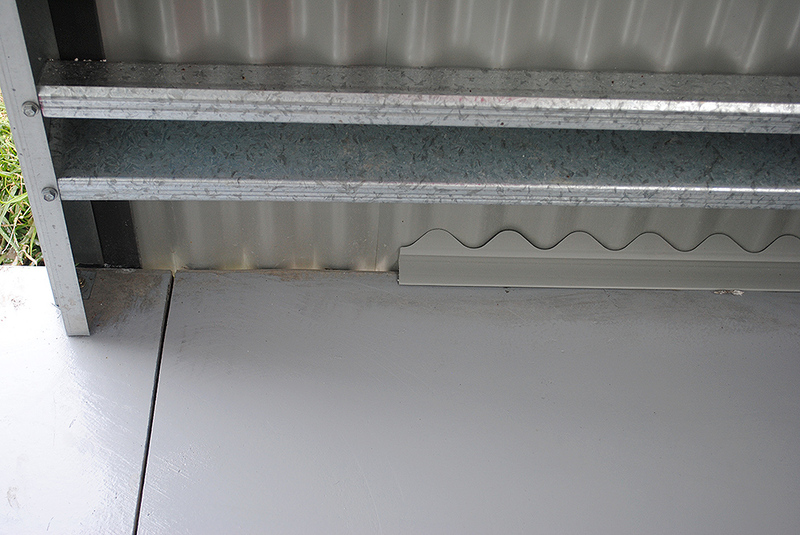 Further up again, next to the rear decking looking towards the garage, this is my favourite part. From the opposite direction, with my back against the garage. Some beading goodness thanks to the clear seal. Yes I love my driveway, don’t judge me. 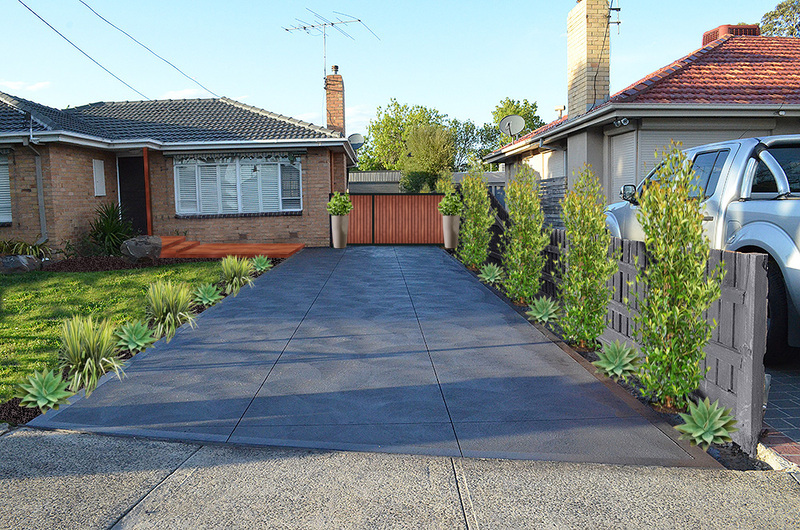 For good measure here’s a rough impression of how I would eventually like the place to look, once I spend some time getting the garden back in order, painting the fence, jazzing up the gate and building a front decking. 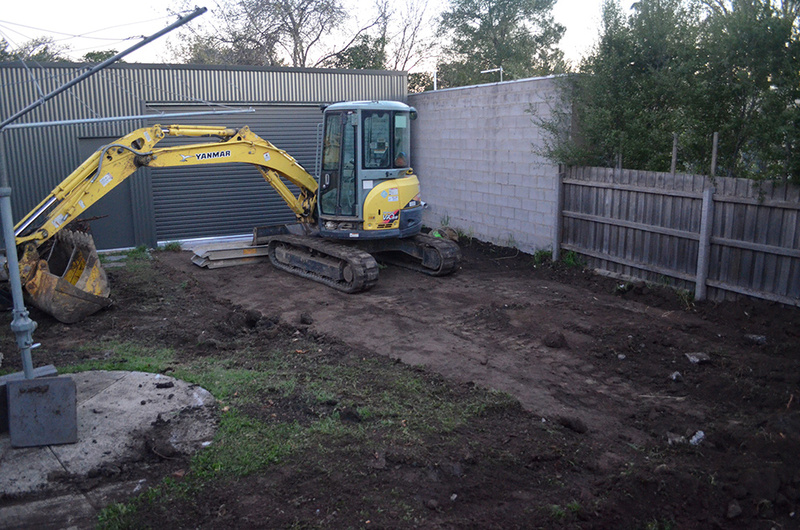 Fast forwarding a little bit more, with the storm-water all complete it was time to get the shed signed off. 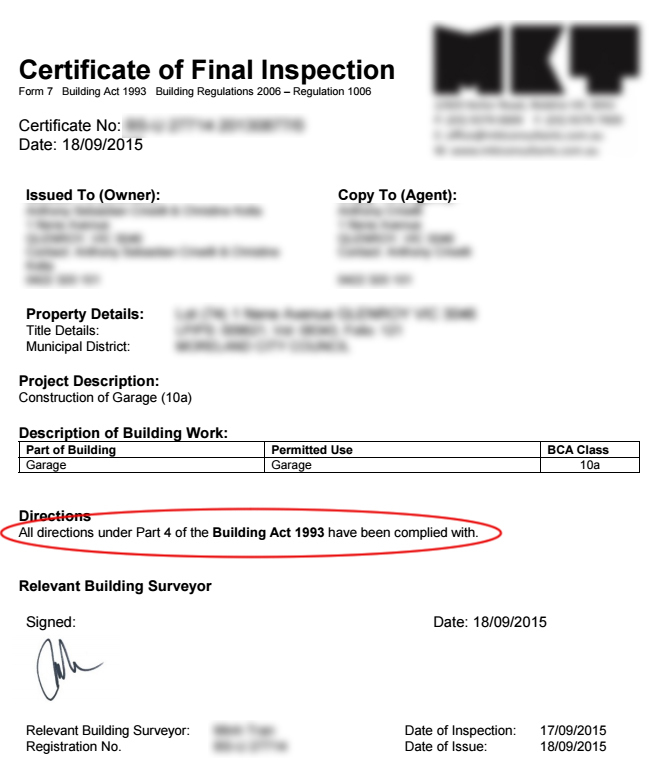 I was very nervous about my final inspection, but passed with flying colours and even received compliments from the inspectors on the quality of construction. 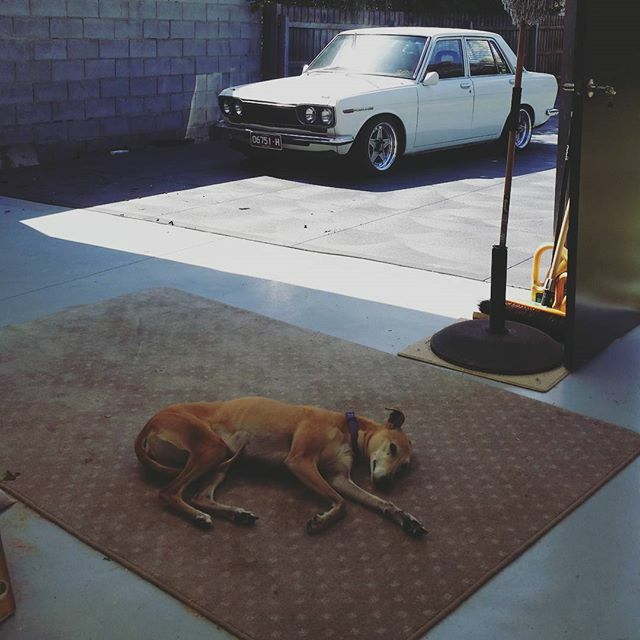 Since then, I’ve been enjoying the newfound space that the driveway has given me. 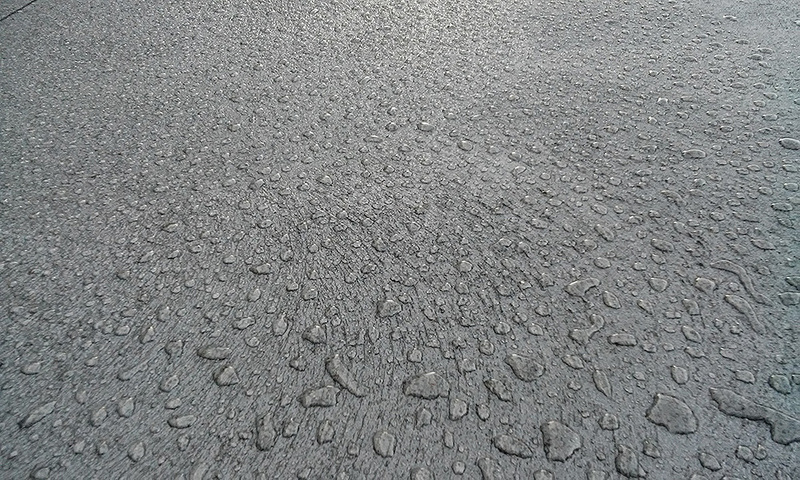 The first drainage point is in the perfect position for washing cars, and due to the nice flat surface I can easily push my car out without starting it. 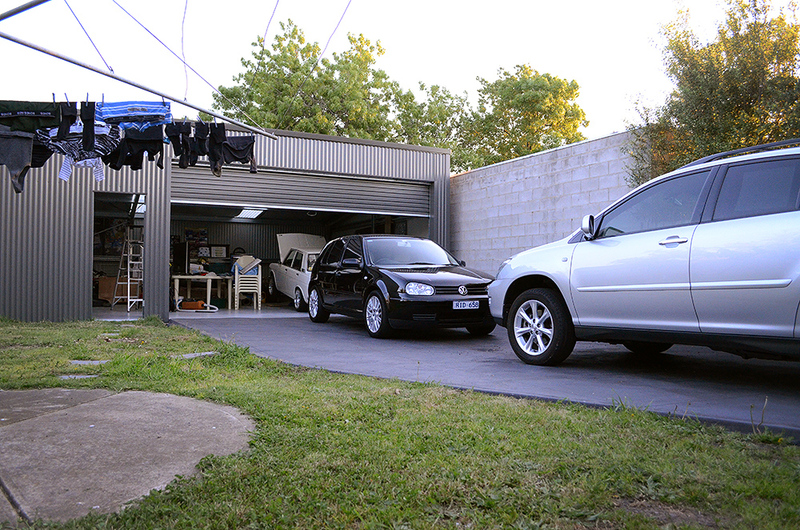 Even having multiple cars back there is easy now, and nice and private being in the back yard. 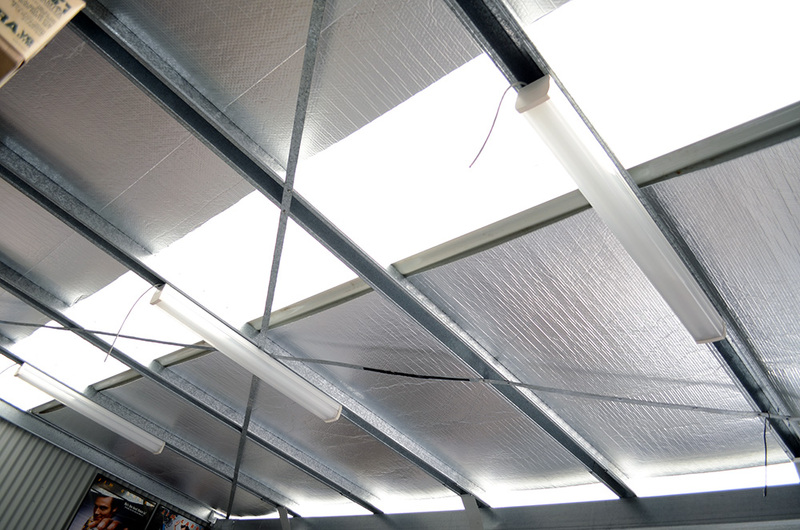 My main issue now that the weather is starting to warm up, is how hot it gets in the shed. I knew I had this issue last year, but I had a break from it during the cooler months. I scored some free insulation batts from my neighbour, which I have used on the two walls that receive the most amount of direct sunlight (North and East). 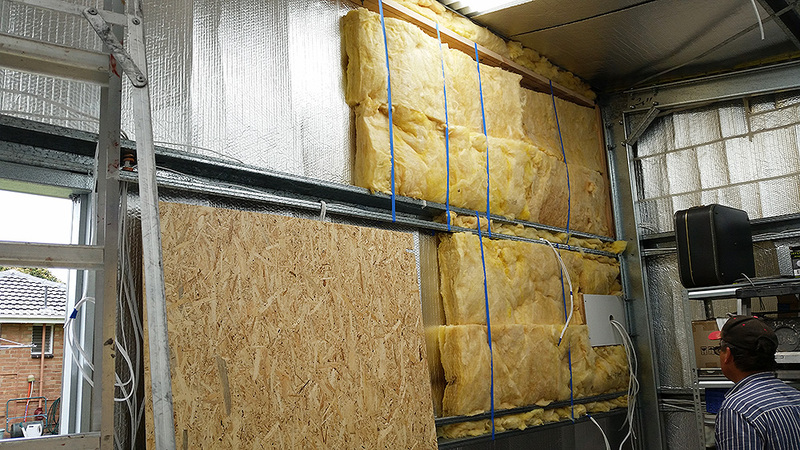 I’ve been reading about needing a thermal break, so I thought I’d put my left-over roofing insulation to good use and get it up on the walls first. I just cut it slightly larger than I needed it, and it snuggly fit where it needed to go, with a bit of tape here and there to seal the deal. I ended up having just enough to do the north wall and half of the eastern wall, which are the hottest sections. Thermal break done. So, messy, oh so messy. Here’s the other side for good measure. 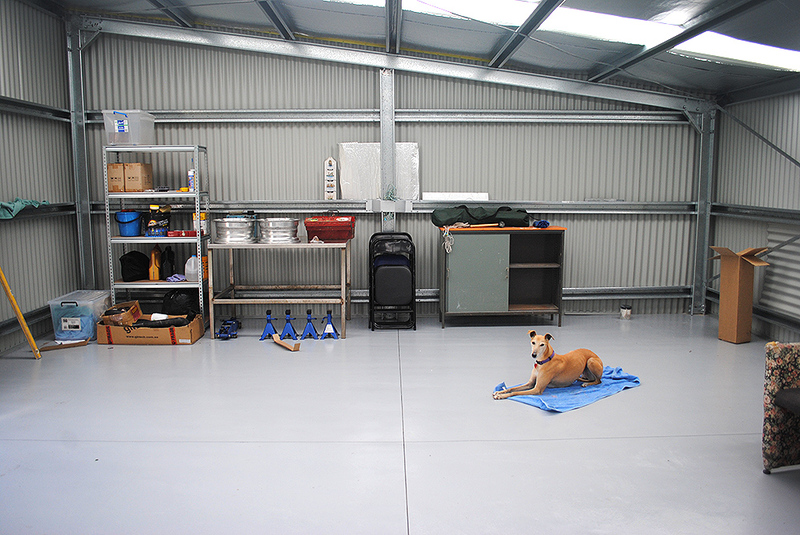 One day I’ll have the place clean, organised, and purposeful. One day. 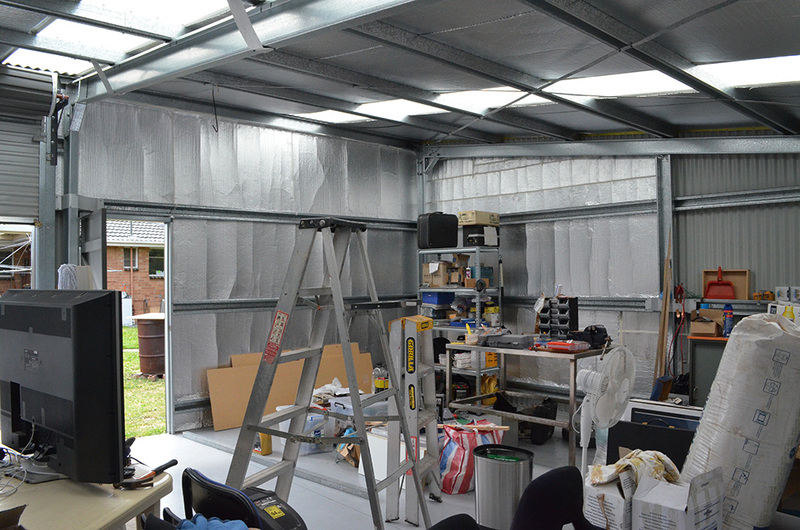 Before we could finish the insulation, I spent a day with an electrician friend to start wiring the place up. 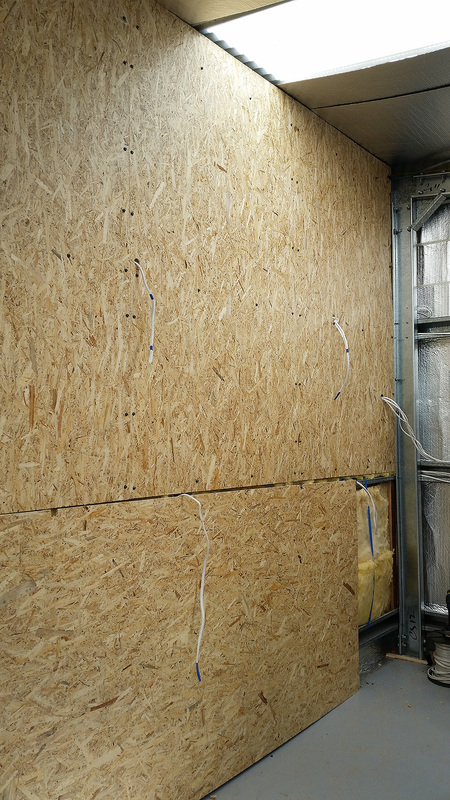 With the thermal break done, we began placing the insulation bats and OSB sheeting. And that just about brings us to where we are today. 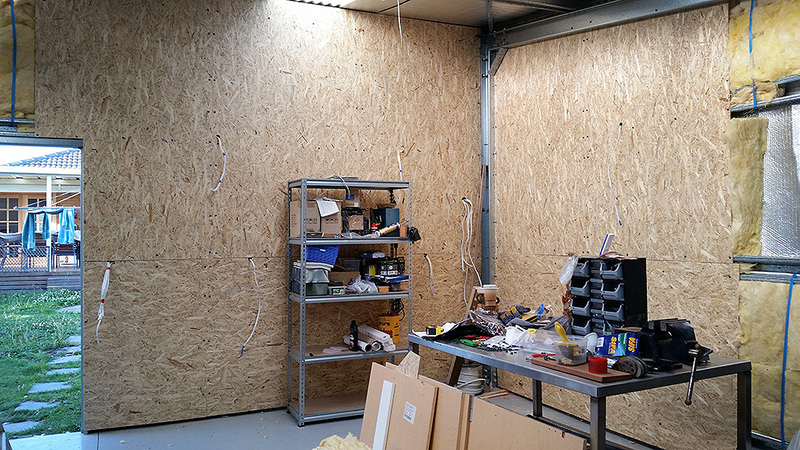 I need to find another spare day or two with my electrician to get the place powered up, then it’ll finally be time to build some benches and storage to whip the place into shape. Until then I’m just continually working on getting the lawn and gardens looking half decent again, repairing the damage from bobcats and excavators. 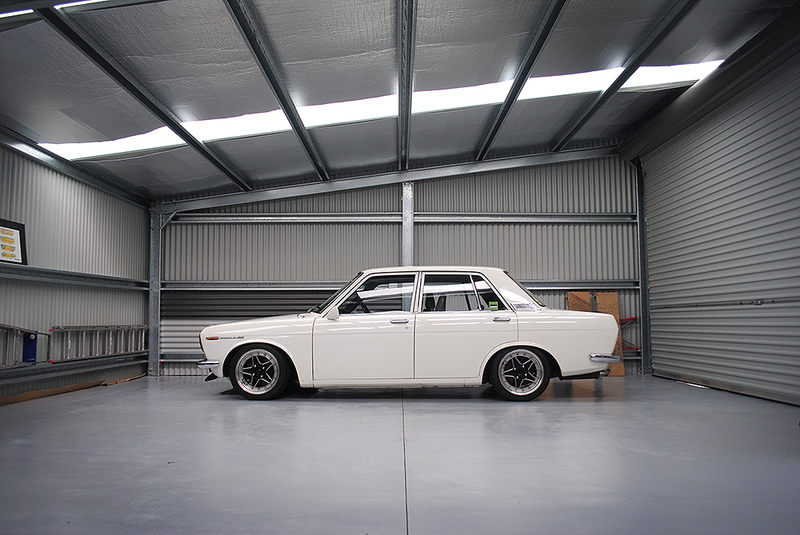 I have managed to do some work on the Datsun in there, even without power, and I look forward to posting about that in the new year. 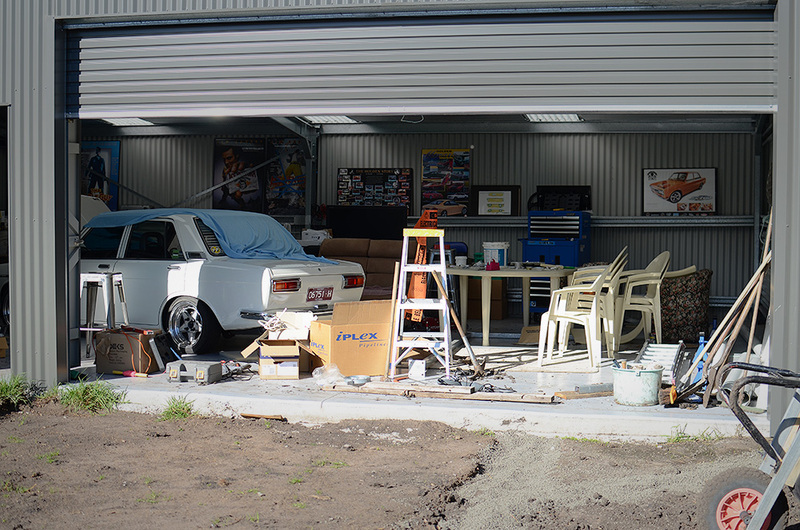 I hope you can have it all wired up and tidy so you can work properly on the Datsun and, maybe another project? 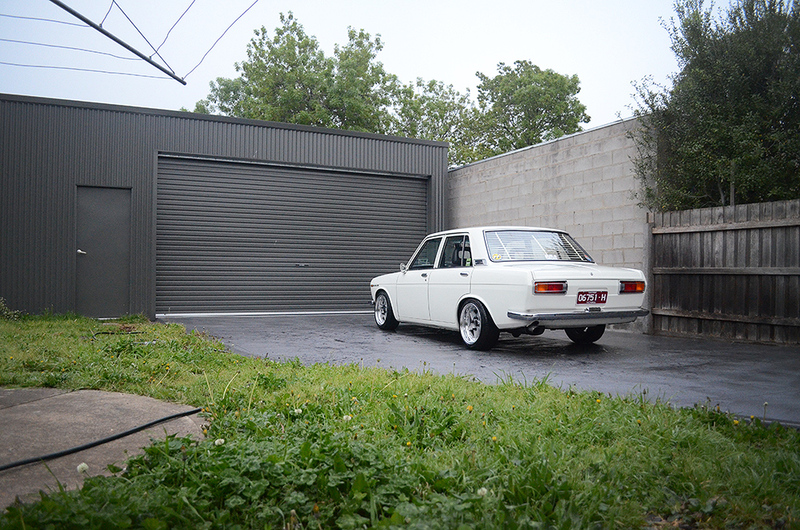 Seeing a build like this makes dream even more about build my own garage! I know building regs differ from council to council, but I personally would have seen if you could put a rainwater tank in. 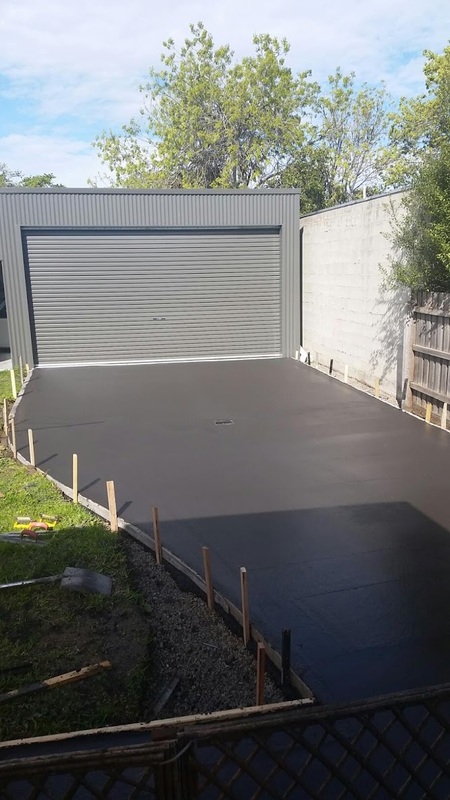 Even off the shed you could have collected a good amount, and depending on how much the council rorts you with rates, it can lessen the excess water charges for washing cars etc. Stil, good to see the progress. Just need a bar fridge and a hammock and it’ll be a man shed in no time. Hi, do you mind if I craft a small blog piece showing the sue of the retroseal Domestic that you used in your shed? Of course, David, happy to help you in any way I can. Can we get an update on your shed please? I’d love to see how it is now! I’ll see what I can do, Matt! 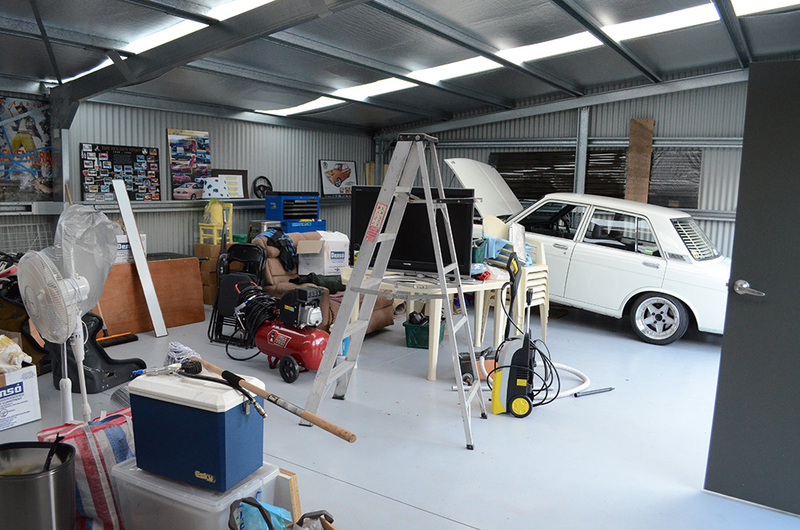 It’s a bit of a mess at the moment, no where near the slick home-shop setup I’d like it to be! Really a beautiful garage, I enjoyed reading the entire series. Could it be possible to post an update? 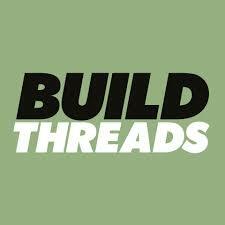 What do you love/hate about it, after these few years of using it? Thanks! I want to build a similar one, and yours is definitely the model I would love to have.